Labradorite chip stones are amazing because of their small, convenient size. 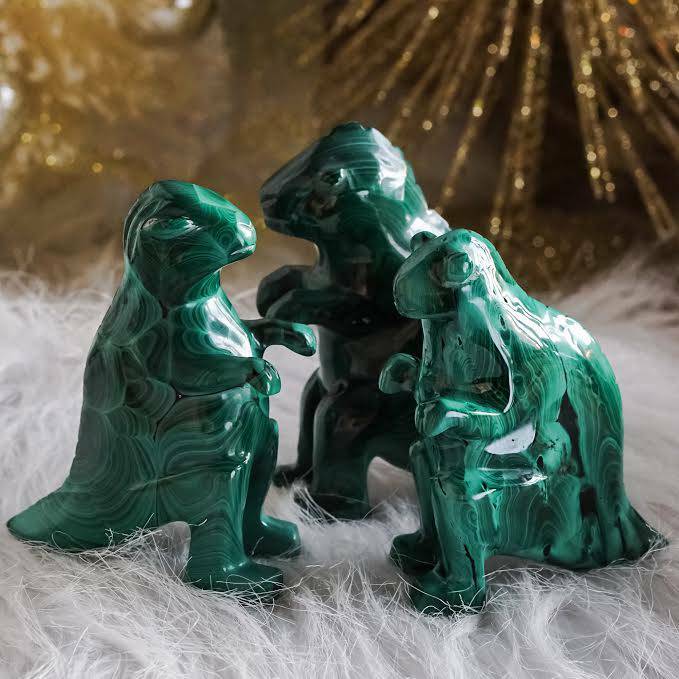 You can carry them in your medicine pouch, purse, car, and just about anywhere else, to access their magic without having to worry about carting a big, heavy stone around! 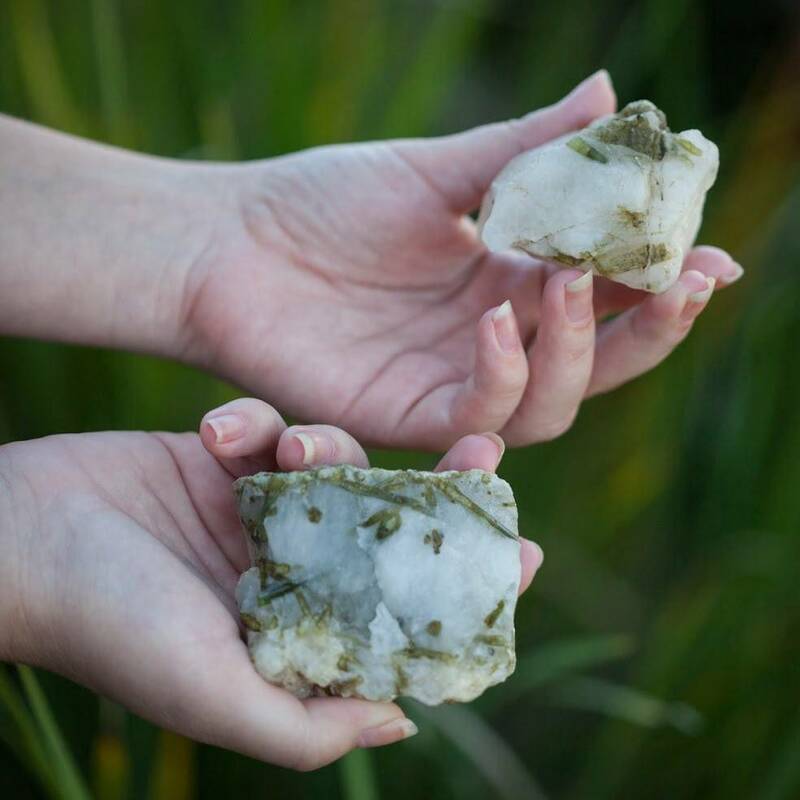 You can put them in your body products to infuse them with the properties of the stone, in your candles, or in your houseplants to bless them with the stone’s magic. You can even use them to create beautiful jewelry. The uses for chip stones really are endless! Labradorite is my go-to stone for new beginnings as well as cosmic and spiritual rebooting. If you need a do-over or if you’re setting intentions in the darkness of the New Moon, this crystal will be your gemstone ally. Like the Hermit in the Tarot, labradorite helps light the path, illuminating the night sky to help you see your way through challenges. With labradorite, look for the iridescent flash – which can range from yellow to blue to purple, all of which capture the beauty of the moon in the night sky so perfectly. These labradorite chip stones are perfect for jewelry-making, crystal gridding, and intention-setting, and are perfect talismans to infuse your body products or adorn your candles with. 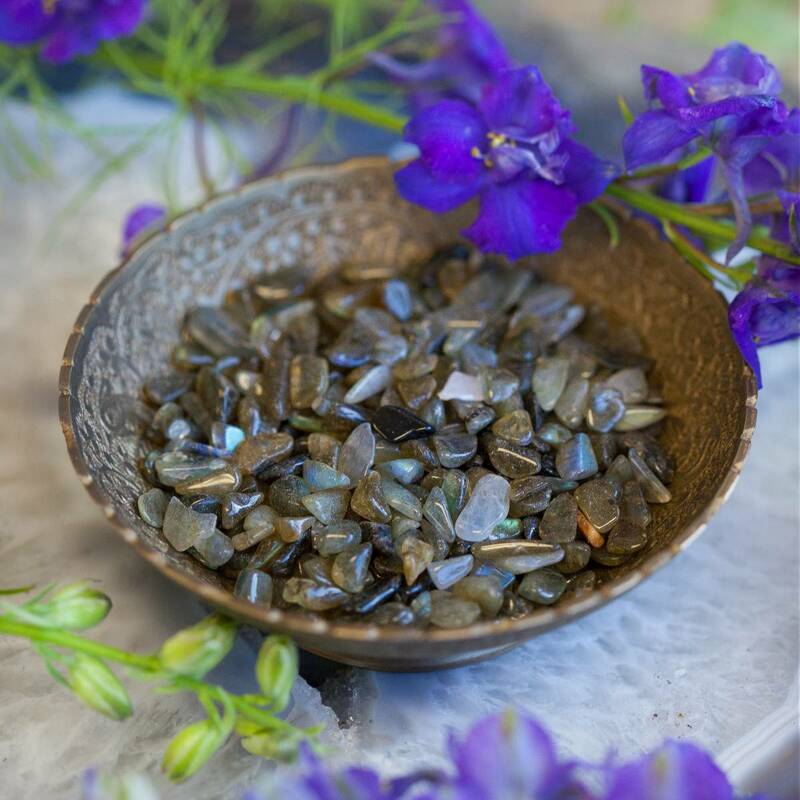 Allow the creative spark within you to be ignited with these labradorite chip stones! This listing is for one (1) ounce of labradorite chip stones. 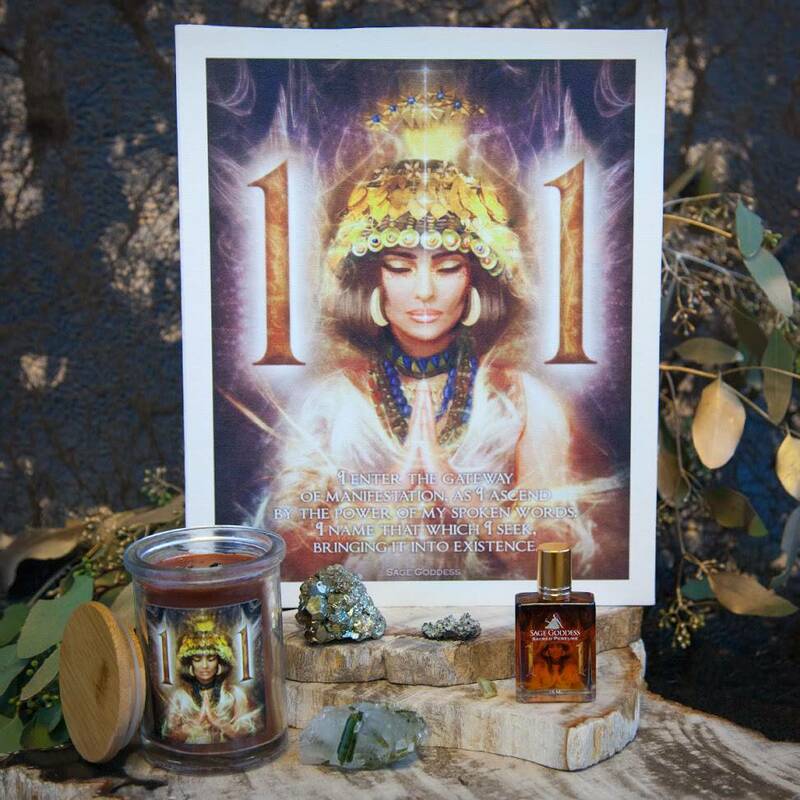 If you would like more than one ounce, please just increase the quantity you are purchasing. Your chip stones will arrive lovingly parceled along with a single leaf of white sage and a card describing the properties of the stone.